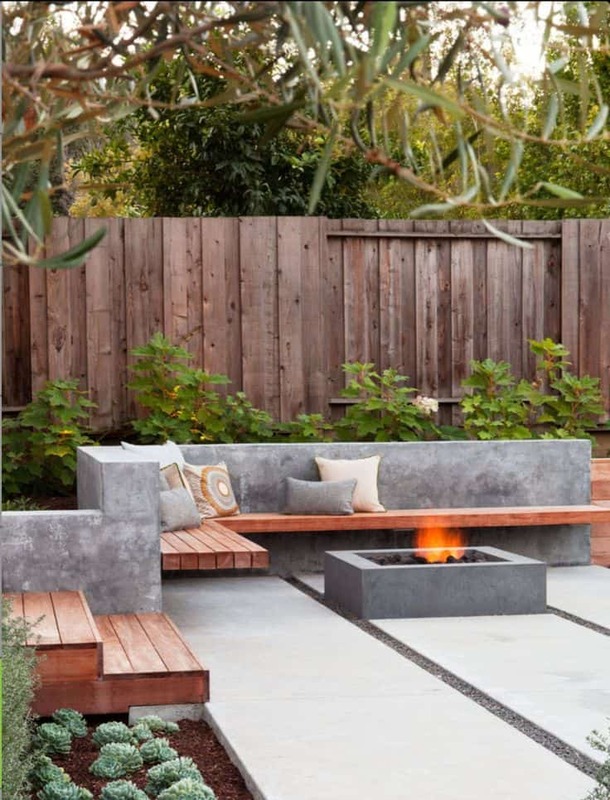 If you love to spend time outdoors and entertain too, there’s no question that you’ve got to make your personal space enjoyable to use – and fashion-forward as well. 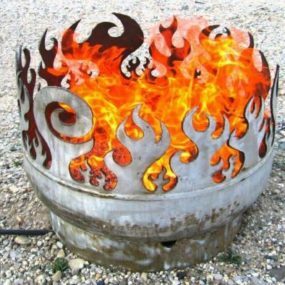 With any one of these 20 modern fire pits you’ll ignite the style of your backyard and create a focus to your celebrations or relaxation. 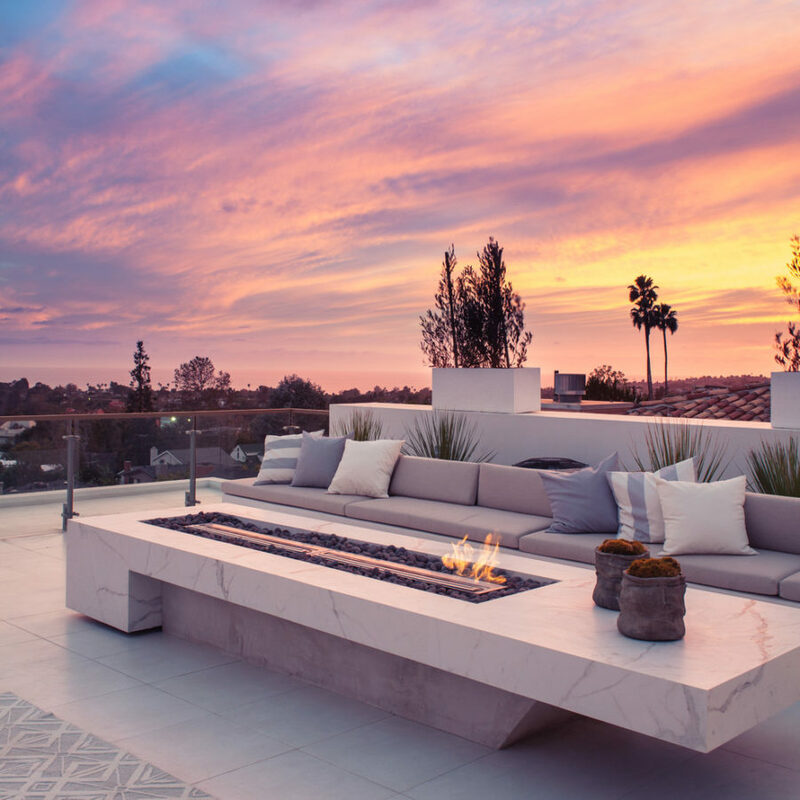 Check out some beautiful inspiration below! 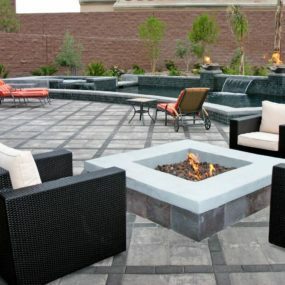 This vertical beauty from Colorado Homes & Lifestyles brings a bout of sleekness and sophistication to your backyard. 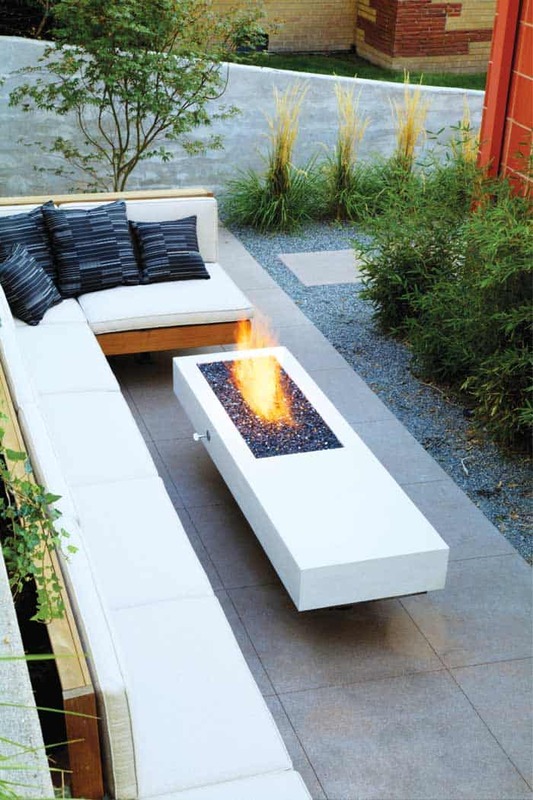 Pair it with slim benches to keep within the rhythm and movement of its design. 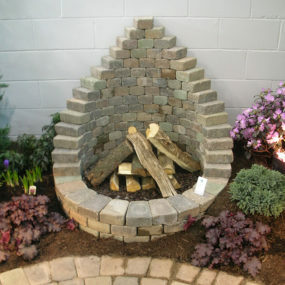 It’s also a great idea for utilizing smaller space. We found this idea over on Pinterest and were immediately drawn to the “double trouble” design. 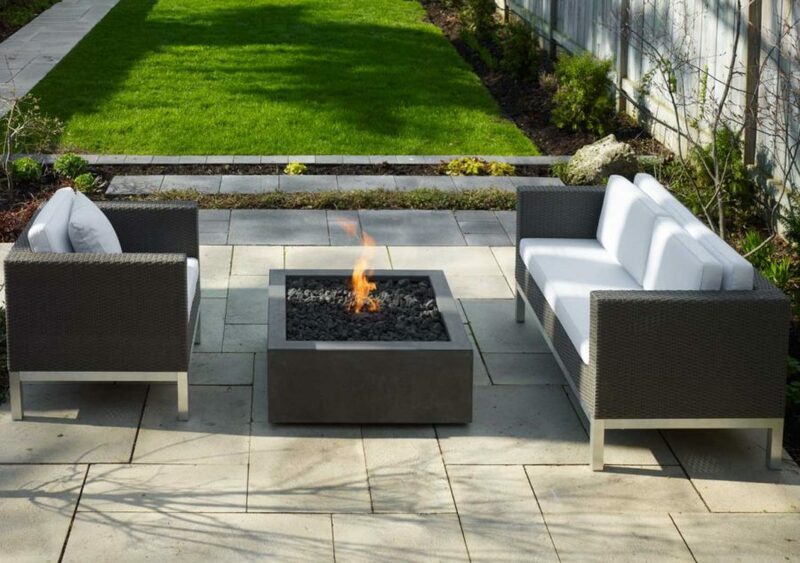 With a black and white, classic look and a contemporary build, it’s a beautiful fire pit that fits more spacious and medium-sized backyards. 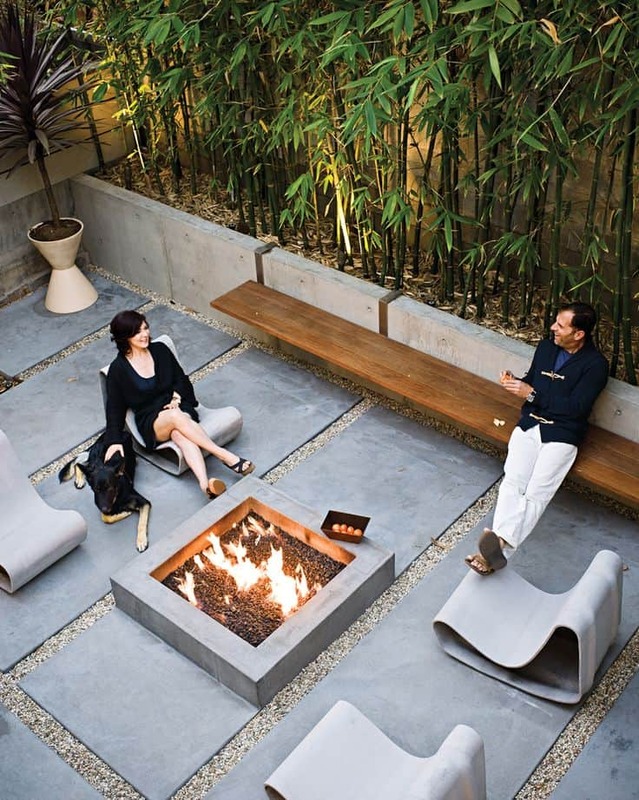 We love how this fire pit from Lux Hotels blends so well wit the concrete surrounding the poor. 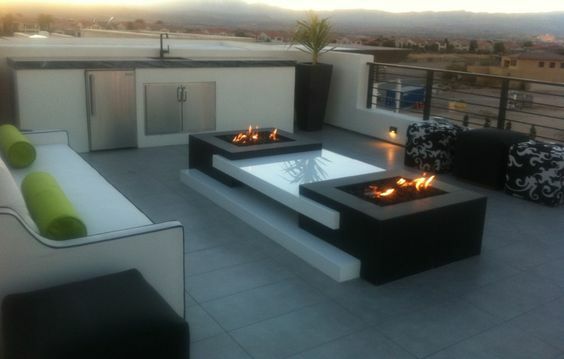 It makes for a cleaner, overall style and one that fits a minimalistic vision. 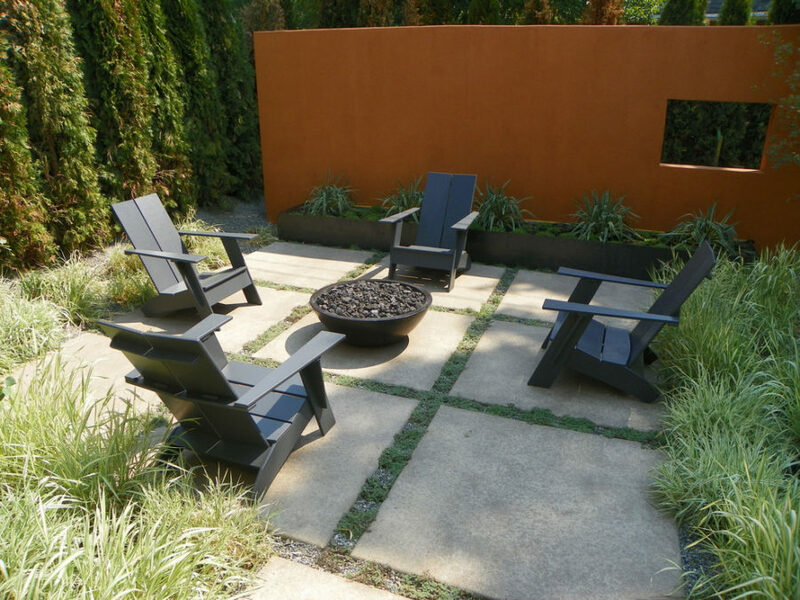 The grey seating offsets the textural neutrals as well. 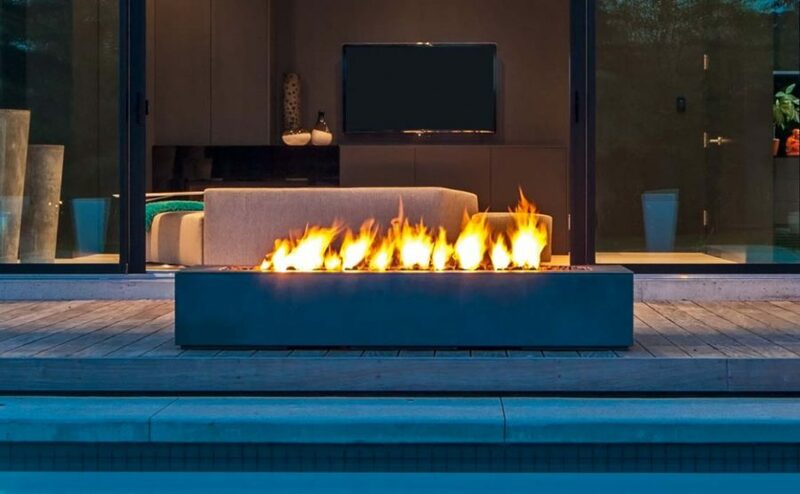 Pinterest lends us this design as well. 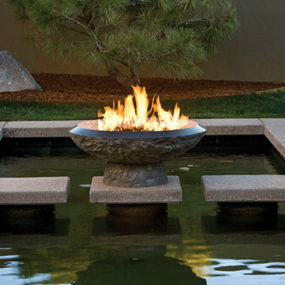 Perfect for any home in any sized backyard, a stone bowl fire pit is both functional and versatile. 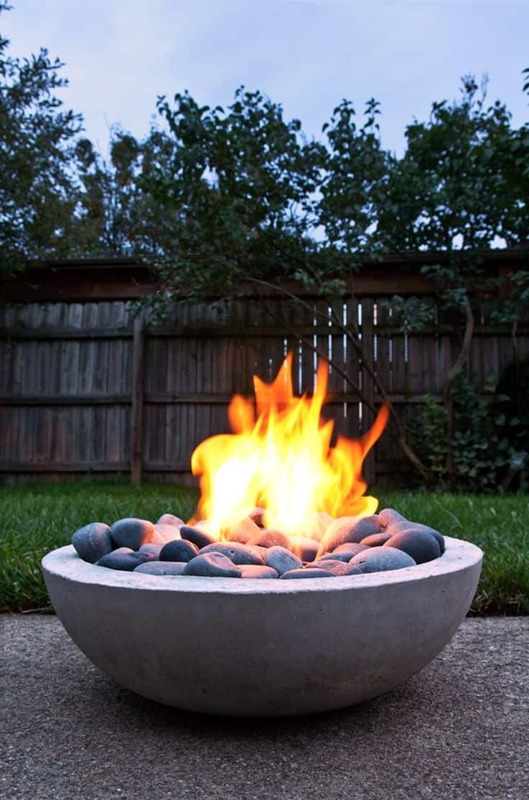 Whether you have just one or several different of these lining the yard, it’s a great focus for entertaining or relaxing with the family. Here’s another vertical, elongated beauty that we were drawn to. 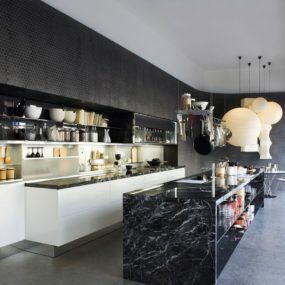 Found at Ok Design Interior, it’s a smaller design that can become a more versatile choice as well depending on the space you’re having to work with. Stardust showcased another versatile stunner with love. 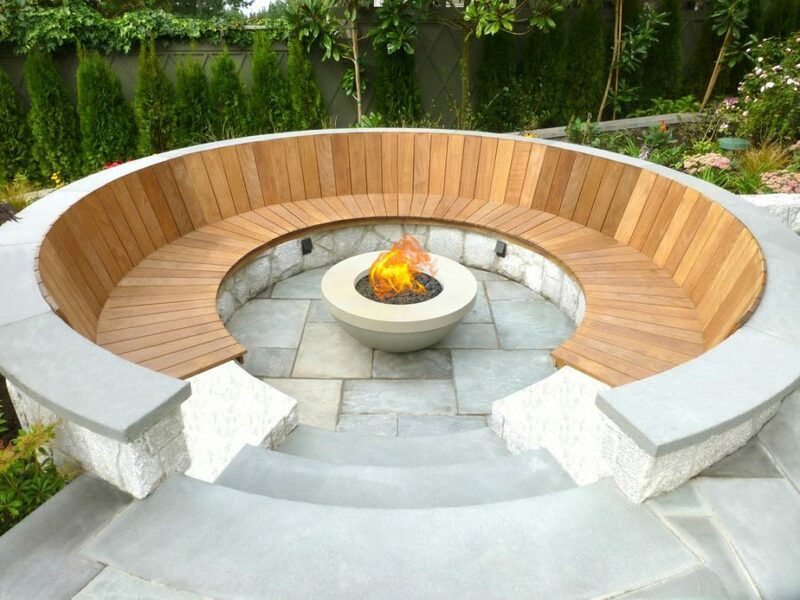 You don’t have to have a bunch of seating around your fire pit for it to be a focus of entertainment and fun. 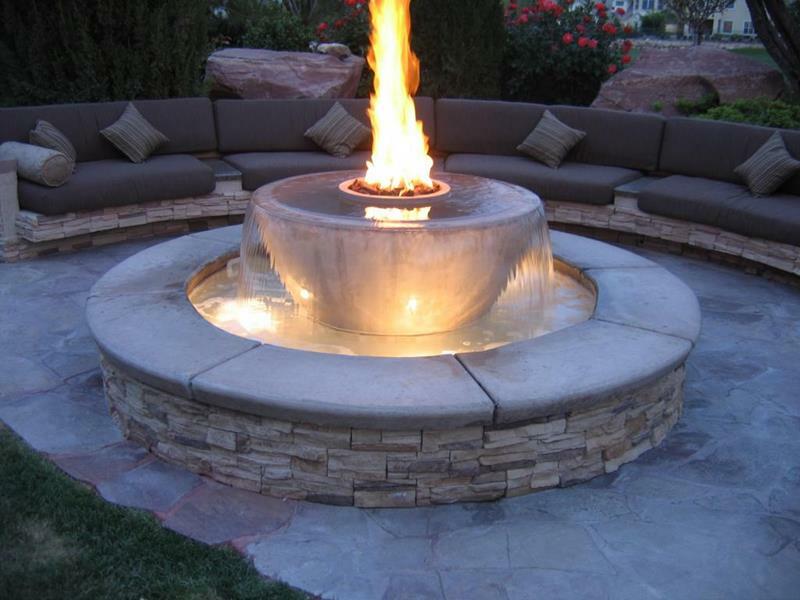 This one sets the mood and creates a special ambiance for all to enjoy. 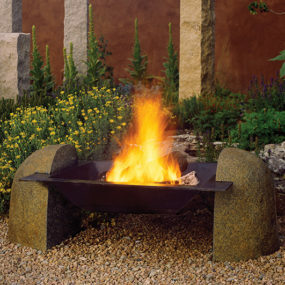 Fire Pit Design Ideas featured this fire pit table that we were inspired by. 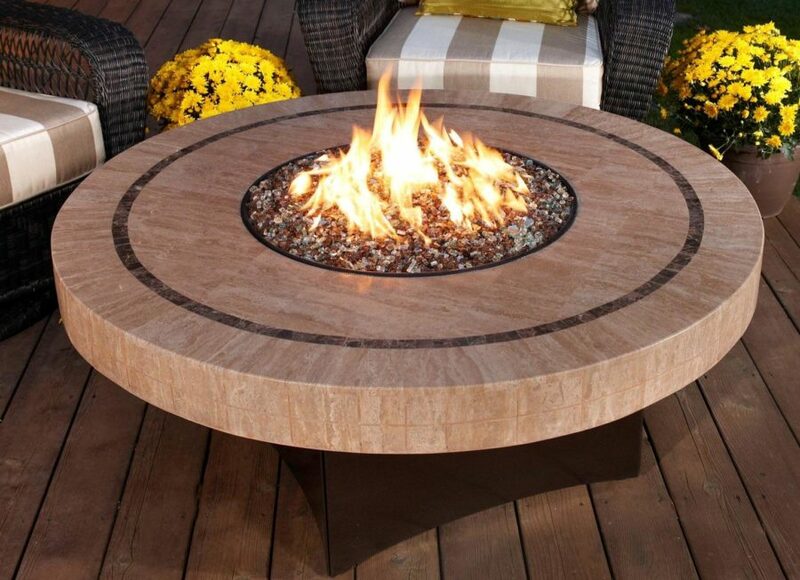 We love how it’s functional as a table too giving the space an even more cozy and welcoming vibe. 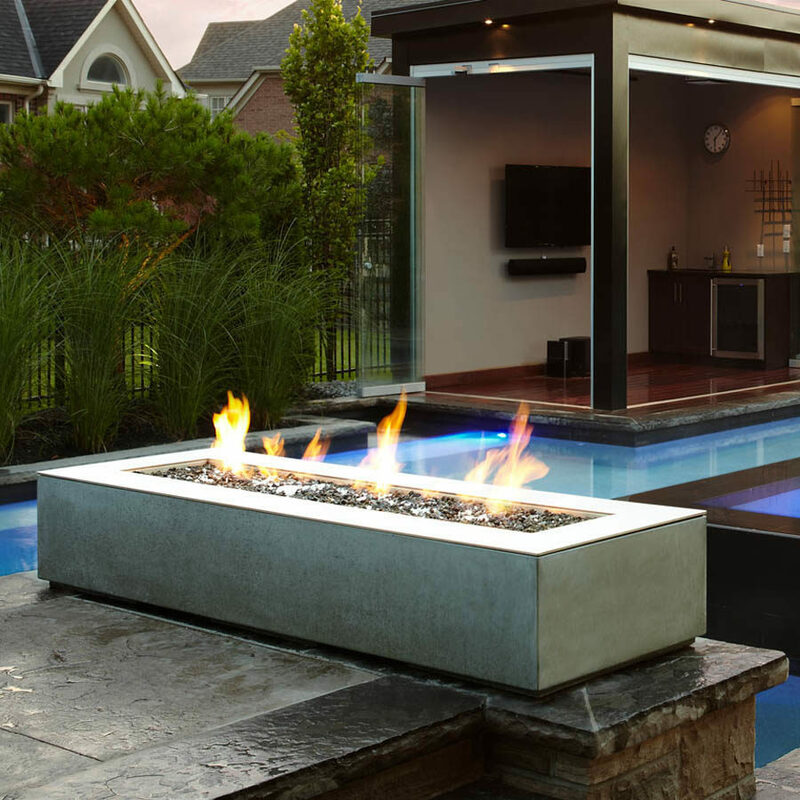 Fortunately, its design doesn’t stray away from the modern, contemporary vision. 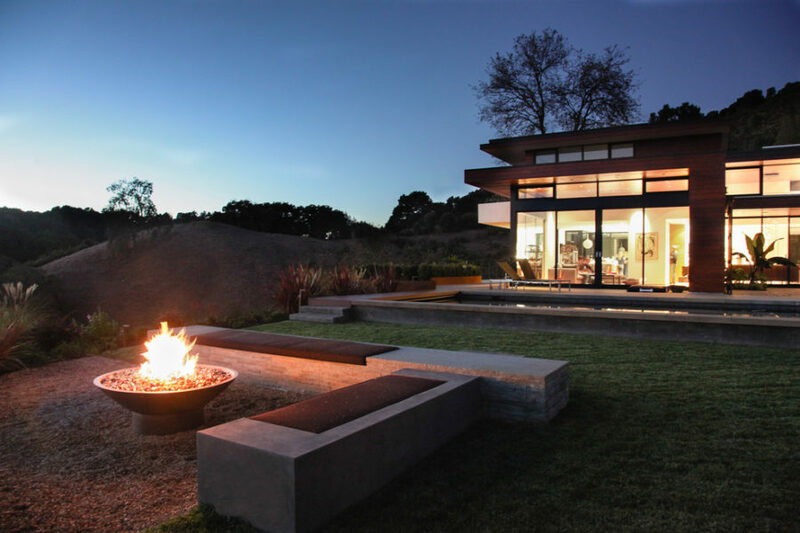 Ok Design Interior featured this concrete beauty as well. For those with a more modern, yet Southwestern, vision in mind, try playing on lighter, cooler neutral tones. 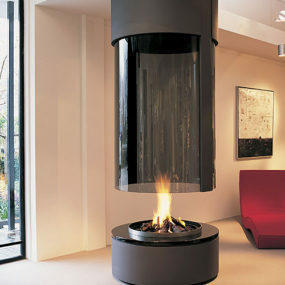 Living Outfitters brings us one of the more innovative and futuristic of designs. 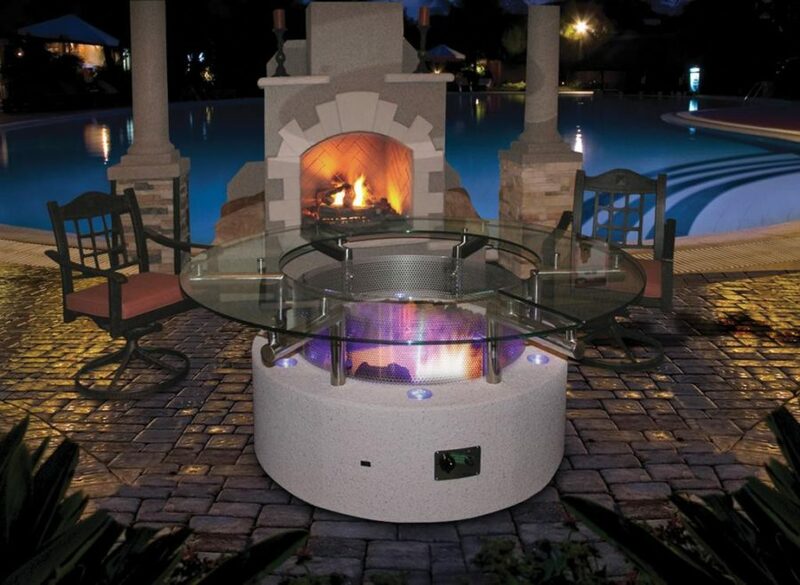 Build with a glass tabletop, you again get both a fire pit and table to enjoy. 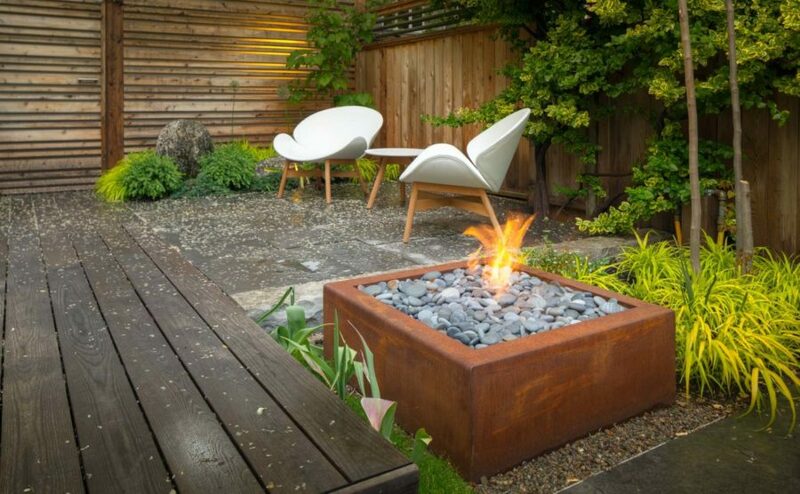 It’s such a fashion-forward way to enjoy your backyard, don’t you think? 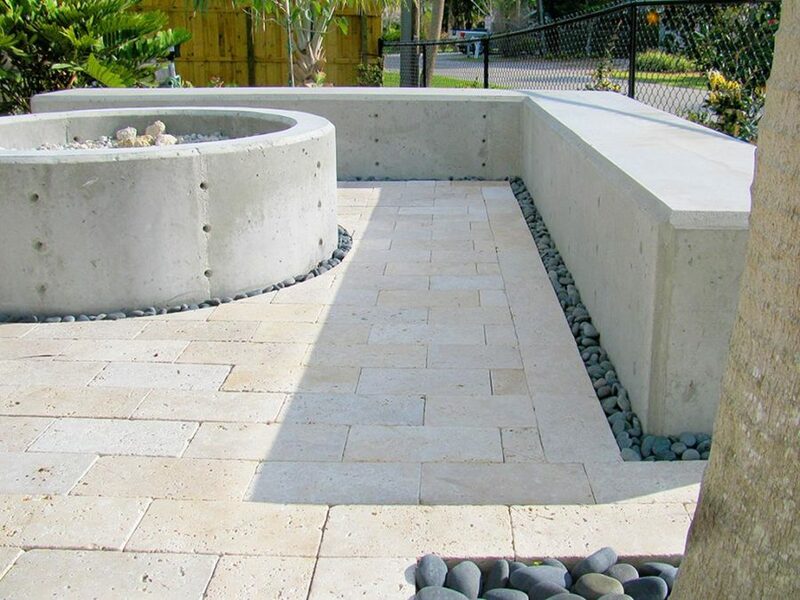 Here’s another great example of how concrete can be painted or stained to your liking. 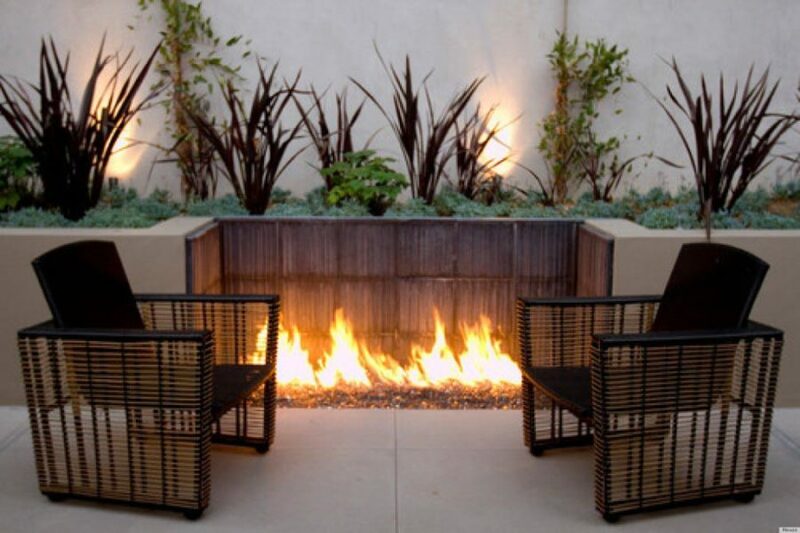 For a more natural, organic look, check out this design from Ok Design Interior. 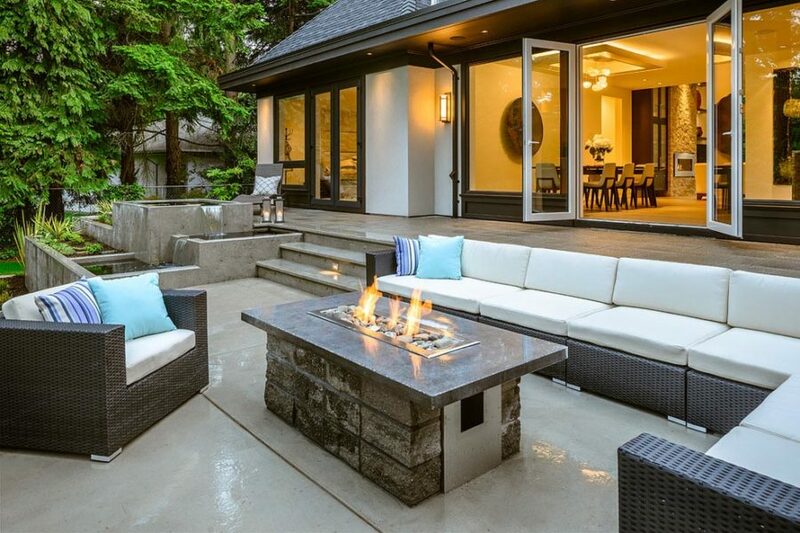 You’ll get your modern style but one with a more welcoming, warmer vibe. Plaoform brings us simple and quaint without all the fuss. You don’t have to go big to have a space that feels more luxurious. 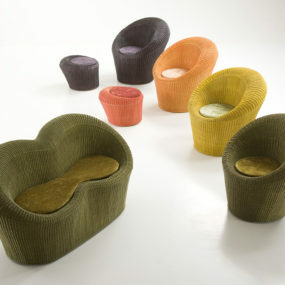 All you have to have is a chic design with sharp edges paired with the right kind of seating, of course.